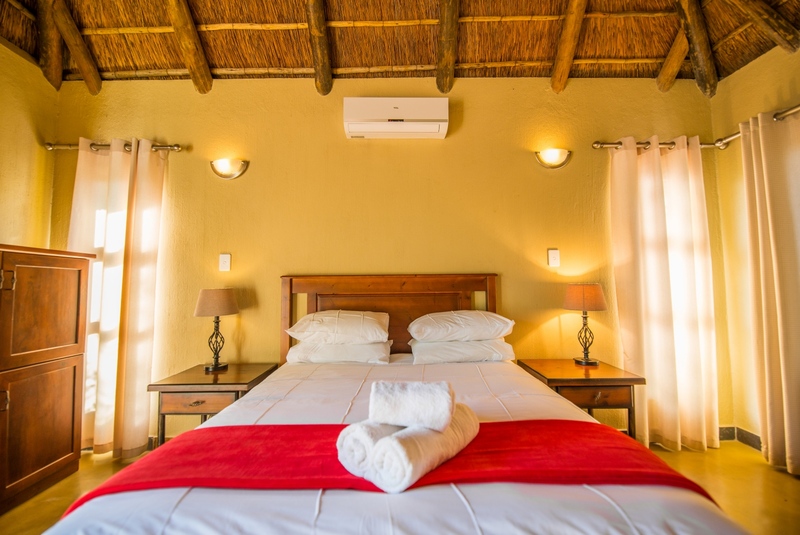 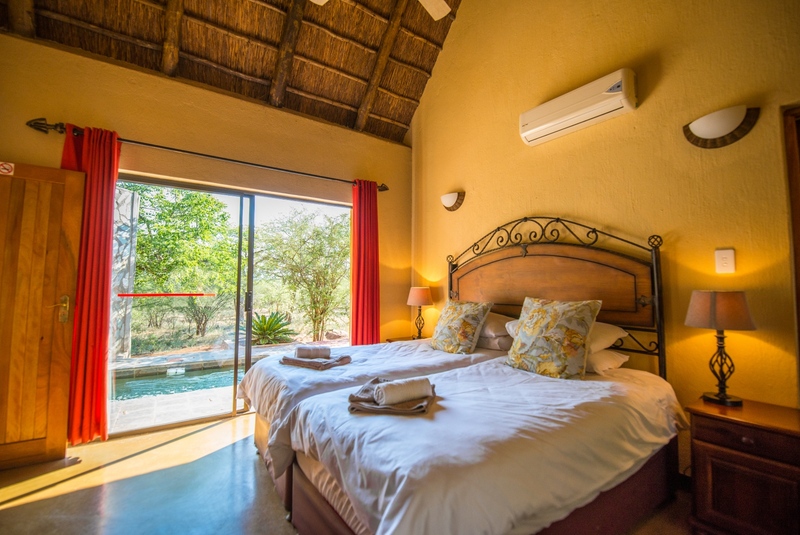 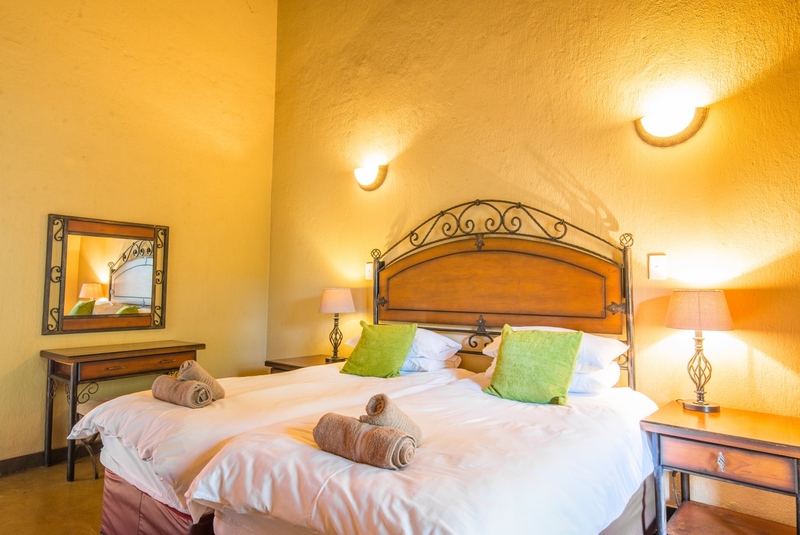 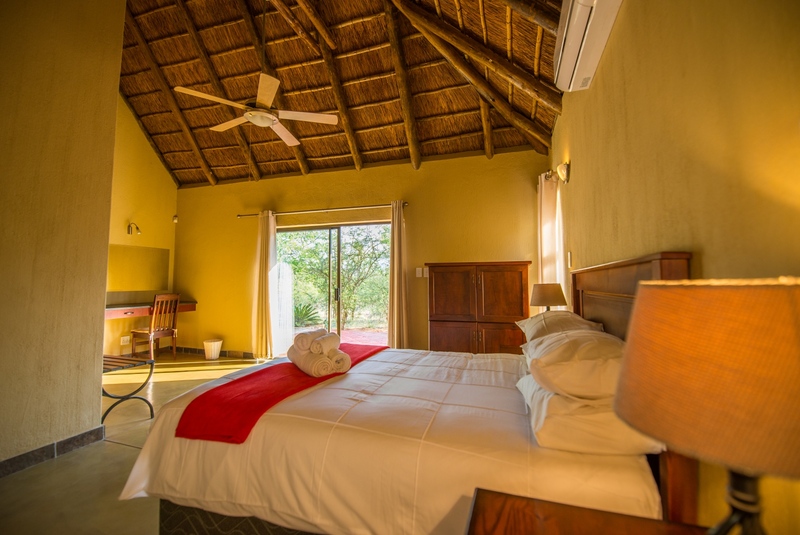 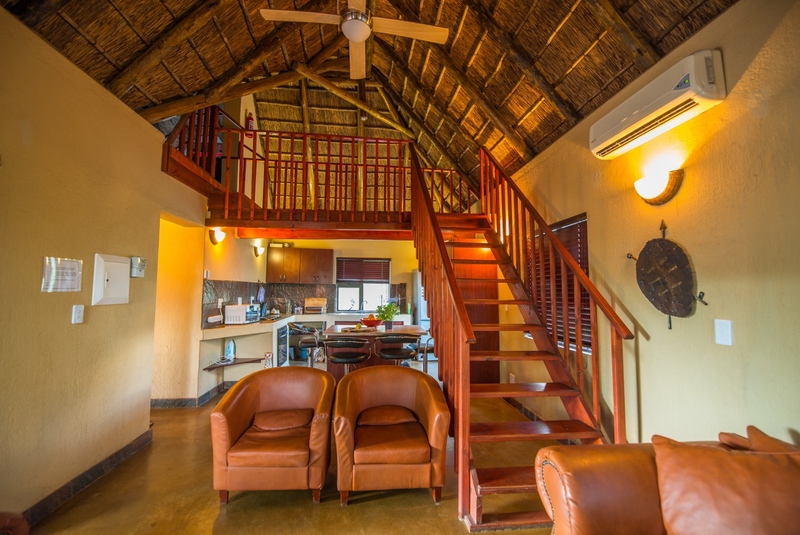 A spacious 4 bedroom self catering property that can sleep up to 8 guests with all the ammenities needed for a relaxing stay. 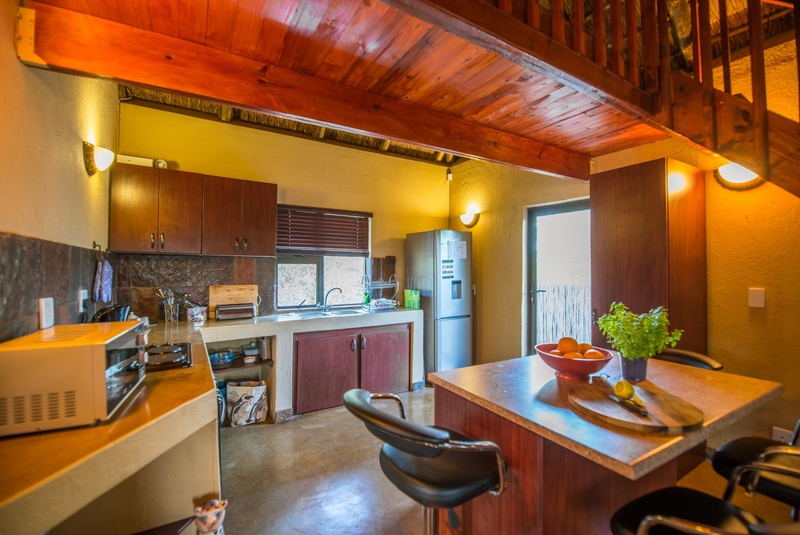 A fully equipped kitchen, living room with TV, outdoor patio, pool and BBQ area. 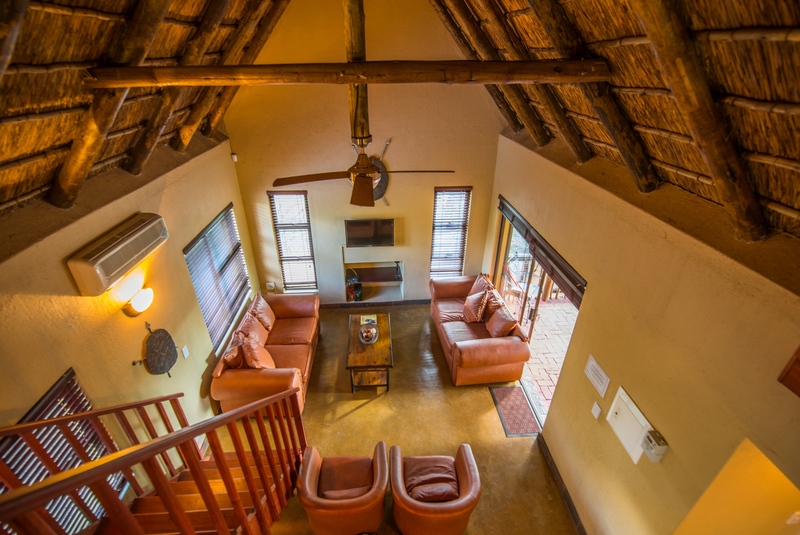 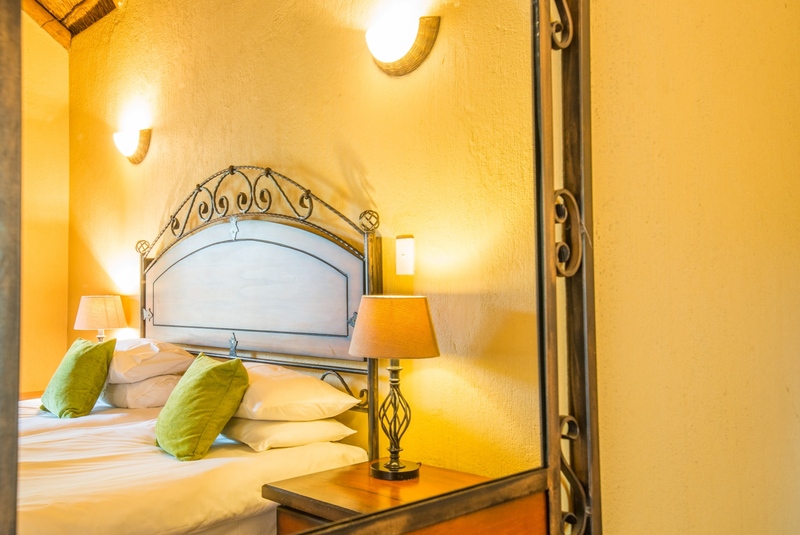 Located in a quiet wildlife estate, Oufontein is a spacious and comfortable home away from home perfect for friends and families. 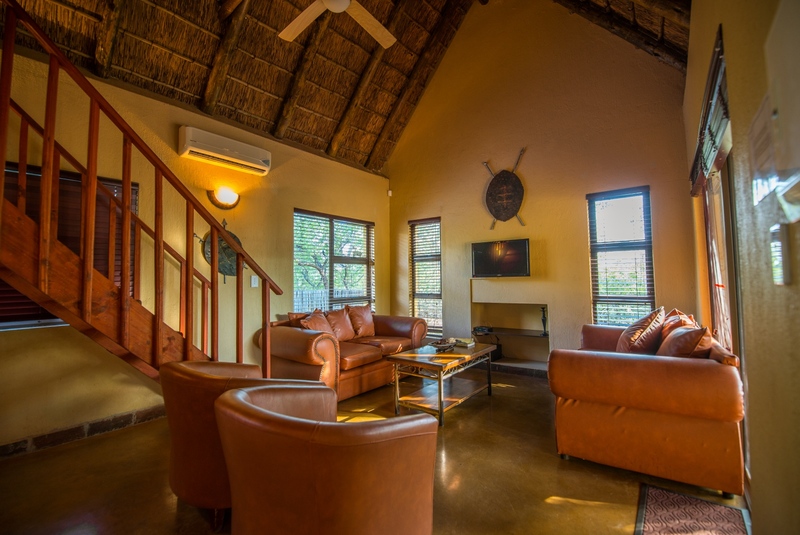 The ground floor has an open plan living area with sofas, arm chairs and TV. 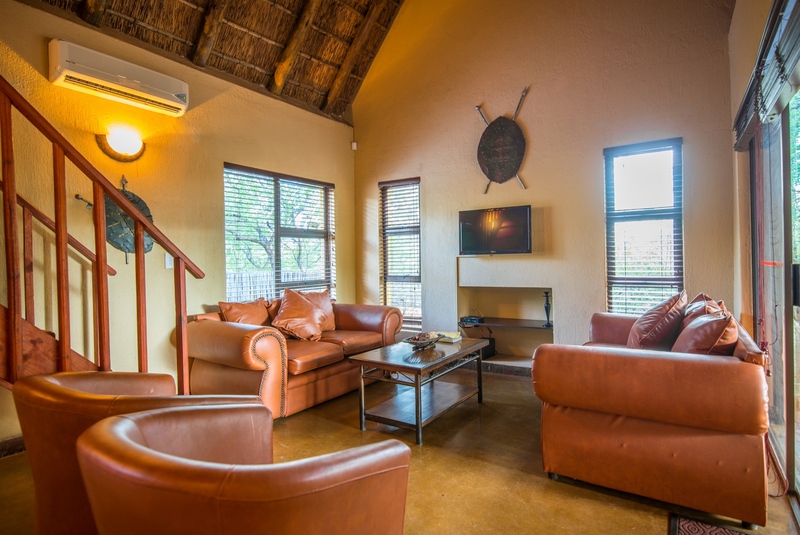 The adjoining kitchen is fully equipped with an oven, microwave, fridge, freezer and utensils. 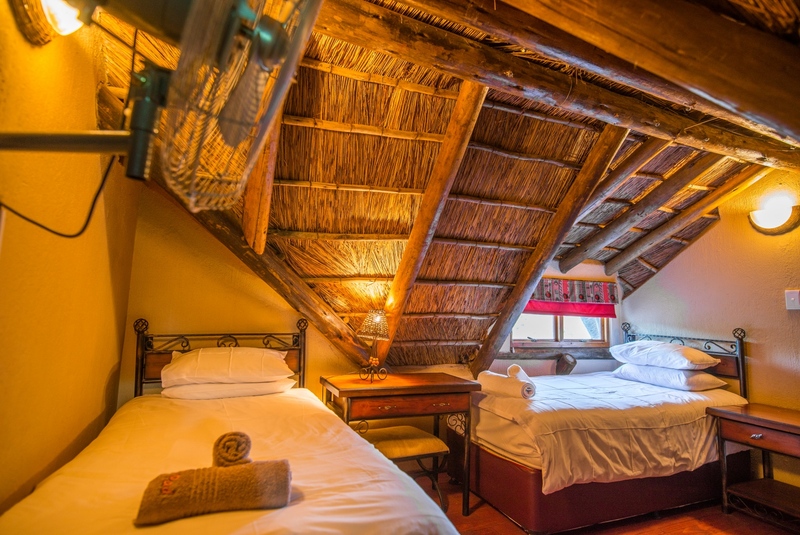 There is one bedroom with a queen sized bed and two twin bedrooms.Upstairs there is a bedroom with two single beds and a balcony. 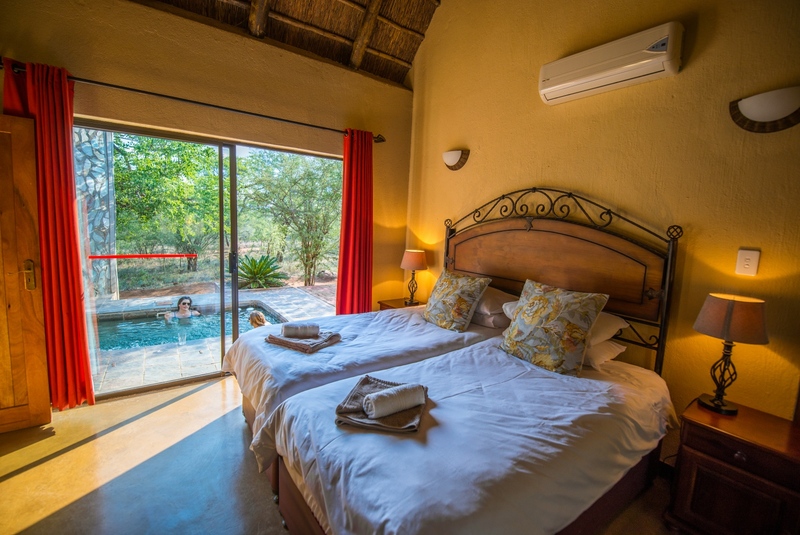 A stunning outdoor area with a splash pool, dining area and barbeque looks out onto the African bushveld. 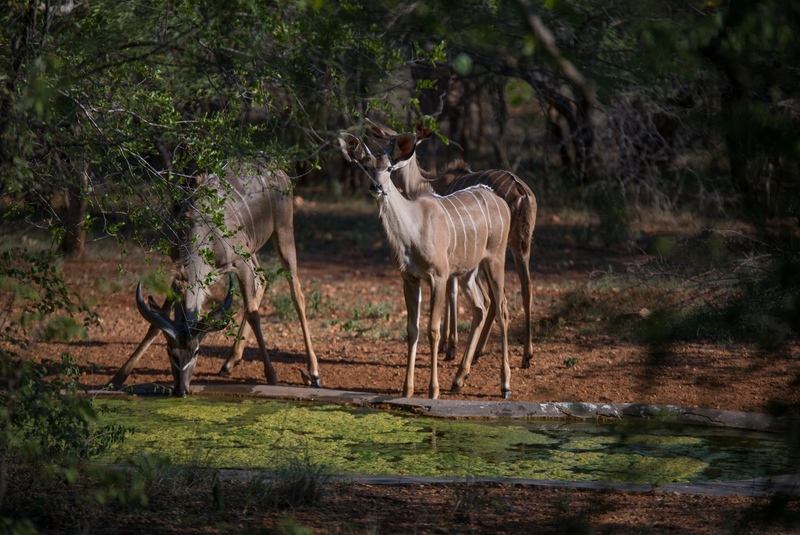 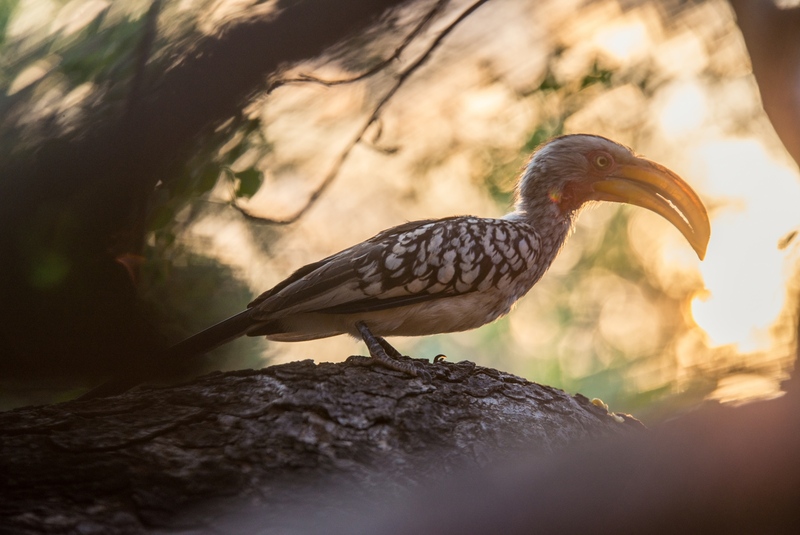 Sit back and enjoy the wildlife come to drink at the waterhole.